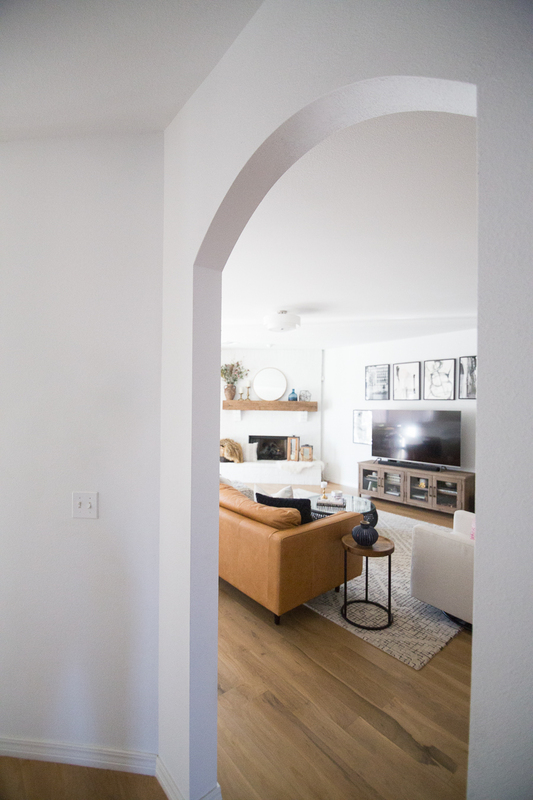 It’s absolutely amazing what some painted white brick can do for a space which you can see in our white painted brick fireplace makeover from the Rebsamen Remodel project. 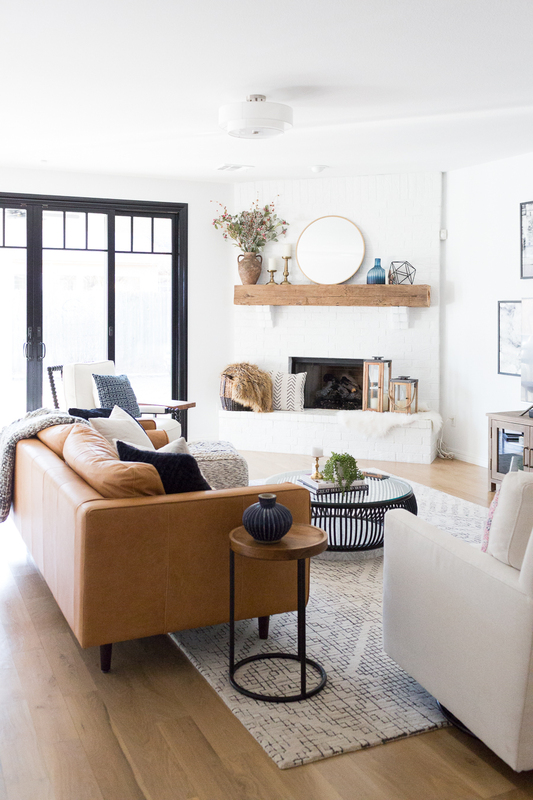 First of all, you need to see what this fireplace looked like before CC and Mike got a hold of it—not much to look at, definitely not the focal point of the room, and honest, just plain boring. 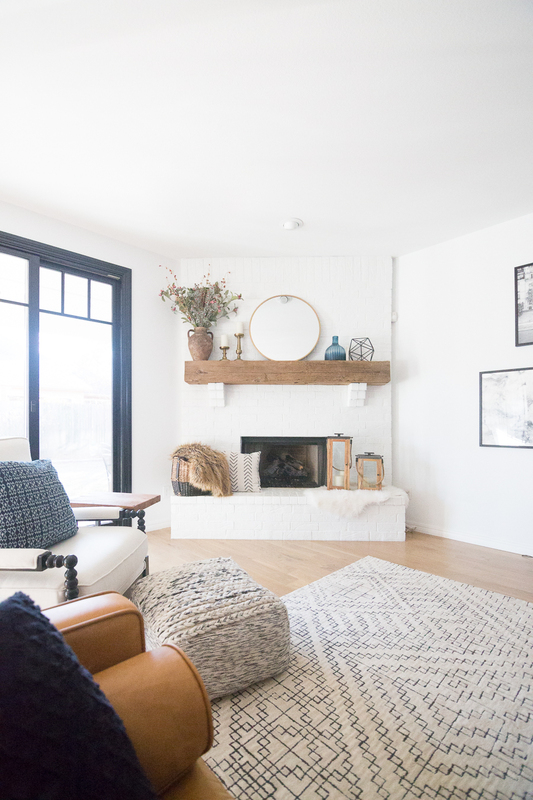 One of my main goals for this living room was to make the fireplace more of a statement, so, we tore off the woodwork, bricked all the way to the ceiling, painted the fireplace Benjamin Moore’s Decorator’s White (my go-to white paint color), and then finished it with an exposed wood beam from Tulsa Timber and Beam. 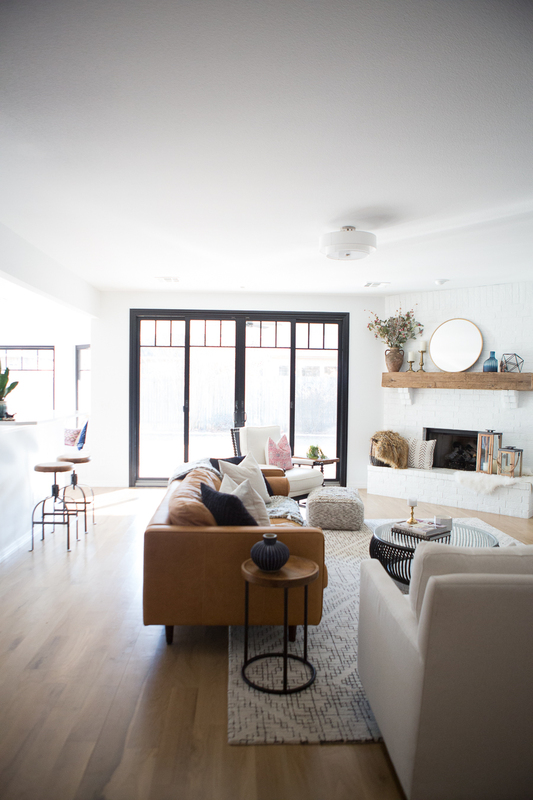 And now for the white painted brick fireplace makeover after CC and Mike worked our magic. 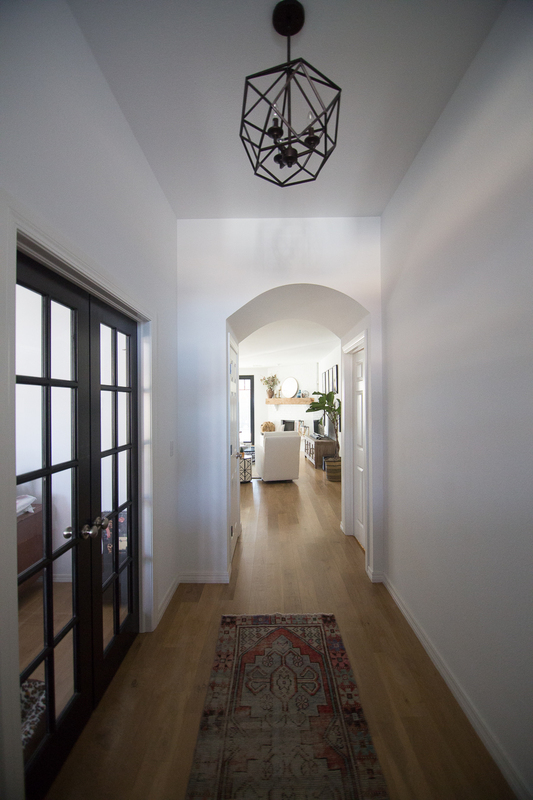 Another amazing product we used in the remodel was faux white brick in the kitchen. 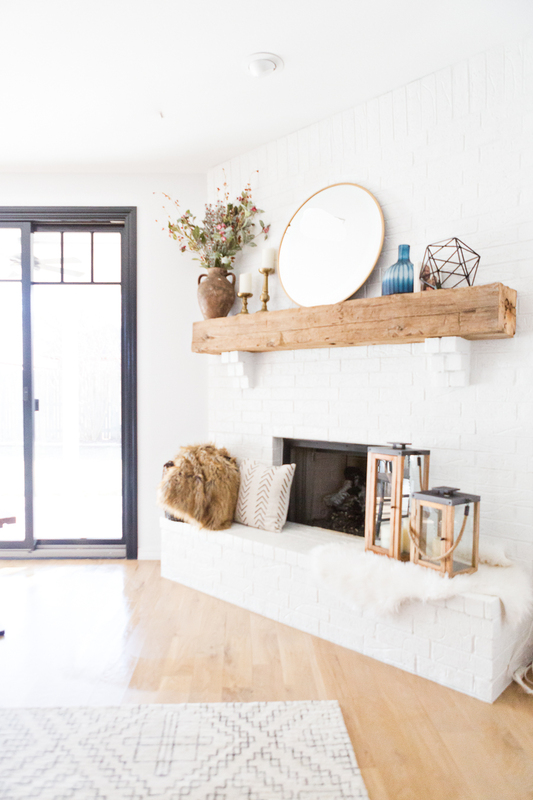 This same faux brick could be used on a fireplace or on an accent wall and is a product that we highly recommend. 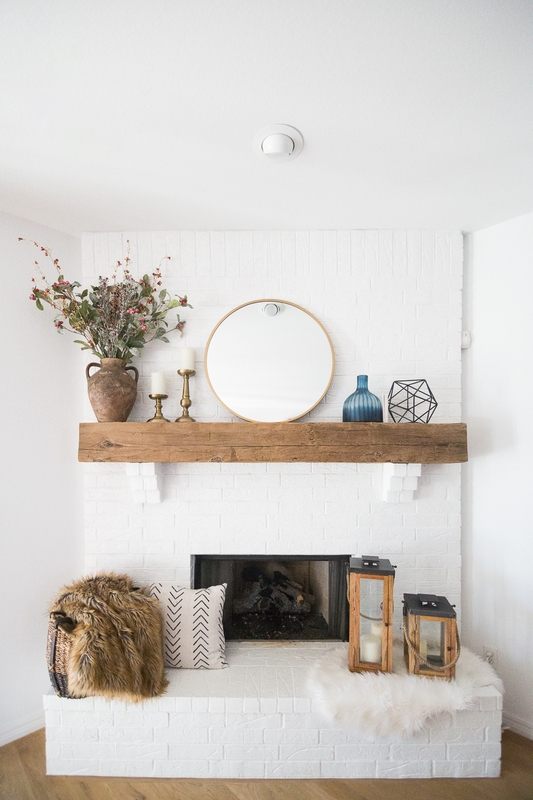 The styling of our white painted brick fireplace makeover was anchored by this round gold Target mirror. It is such a great buy and is so versatile. 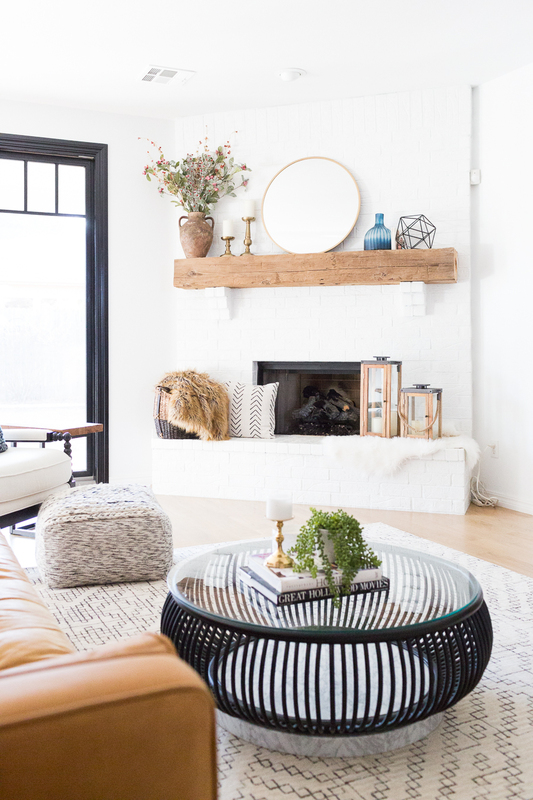 It can be used above fireplaces, as seen above, but also above dressers, in bathrooms, in bedrooms, dining rooms, and just about anywhere in your house. 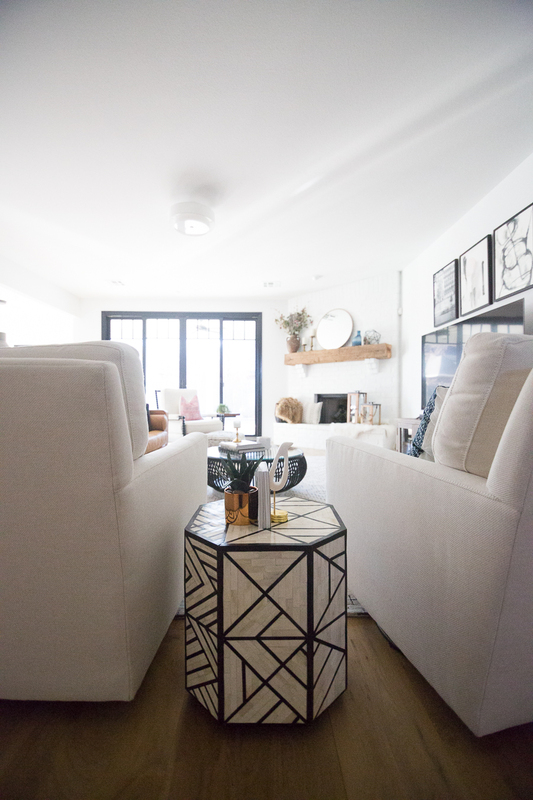 Round mirrors are such a great home decor item to have because of their versatility! 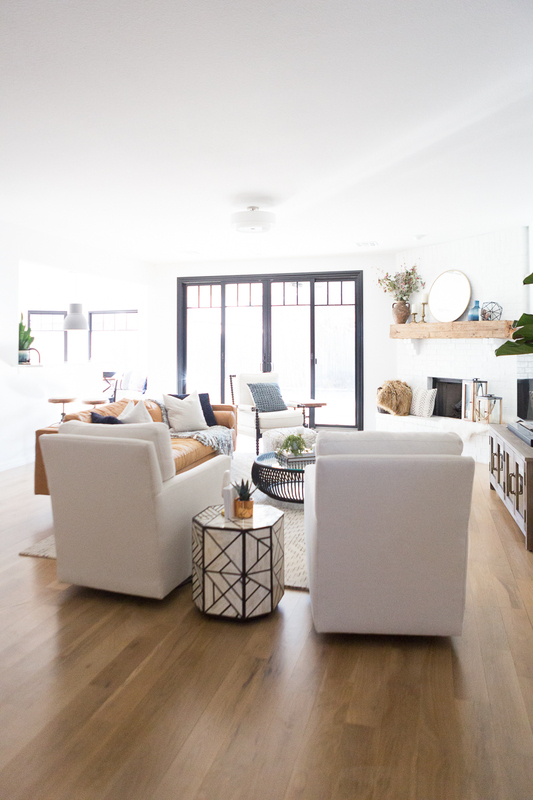 If you don’t have one, you should definitely consider buying one. 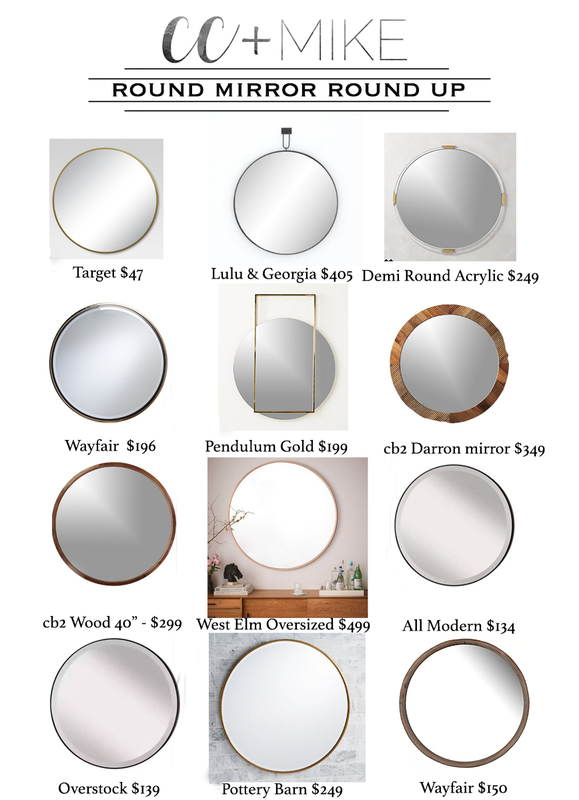 I have rounded up all of my favorites round mirrors for you guys below. 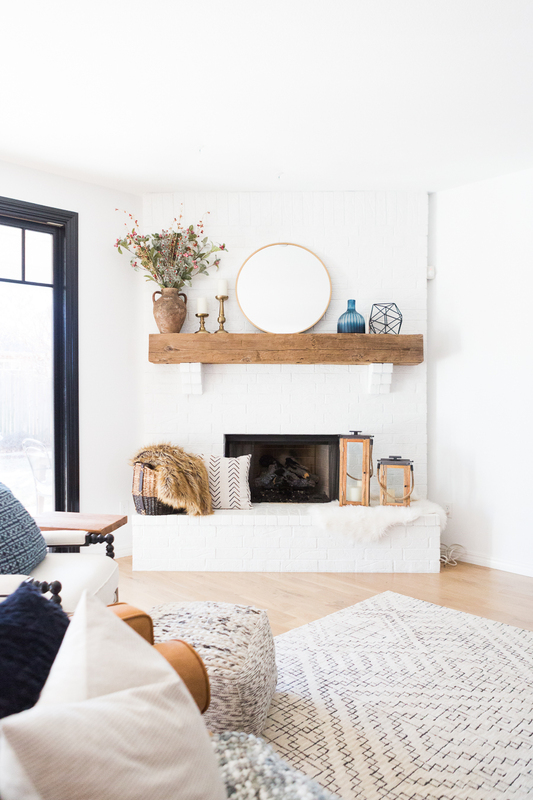 Hope you enjoyed this look at how we took this fireplace from one of our remodels from drab to fab with our white painted brick fireplace makeover! 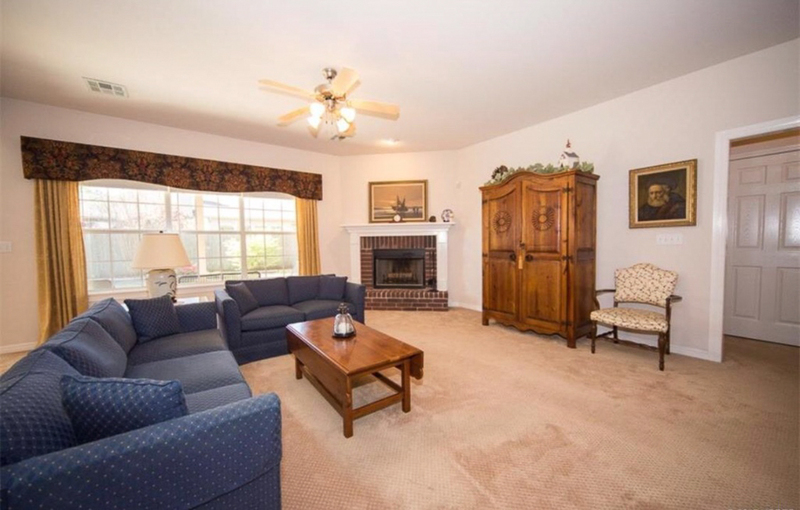 Here are some more pictures of the new and improved white brick fireplace! 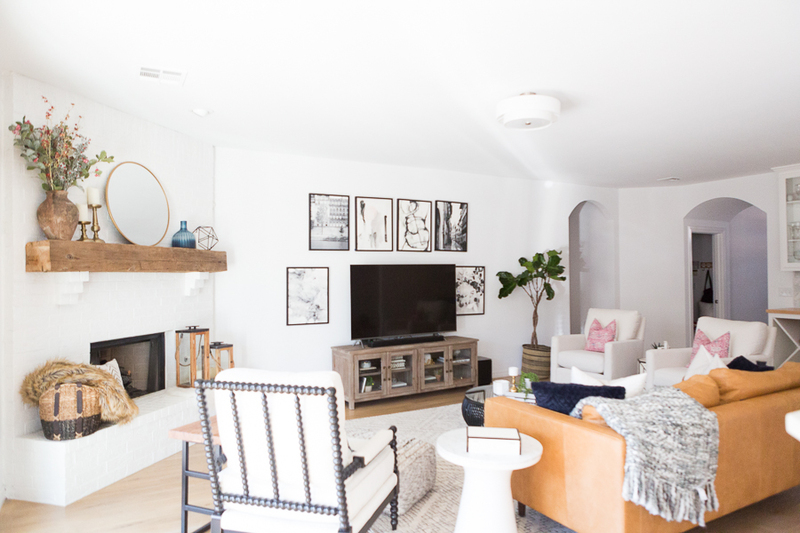 If you enjoyed this post on our white painted brick fireplace makeover, you might want to check out our Good Remodel Project and our favorite choices for Faux Fiddle Leaf Fig trees as well!